I'm sure you all know by now, but I'm gonna say it again I LOVE BarryM nail polishes, I love the colours, formulas and the price. 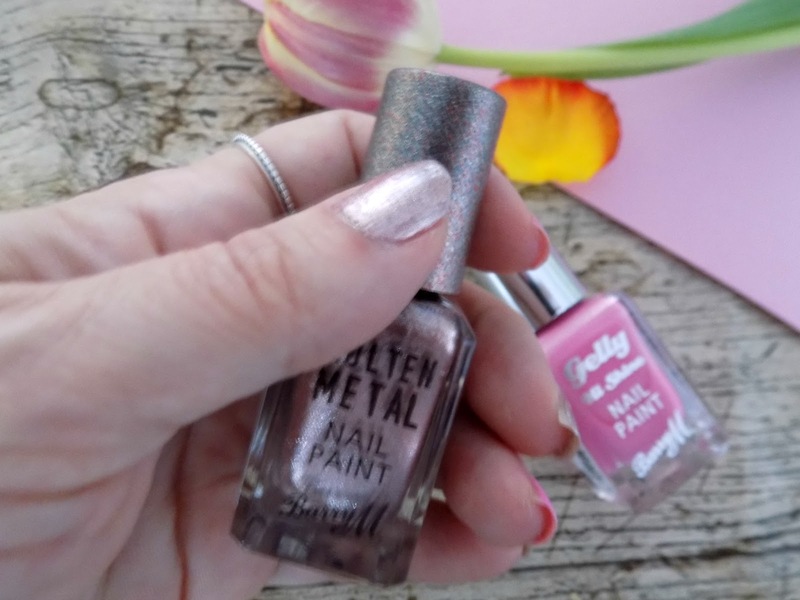 Recently while mooching round my local Superdrug, I saw that BarryM have added to their Molten metal range, I already have Copper mine which I bought late last year I think, and loved so I thought it only right and proper to add Pink Ice Rose Gold to my ever growing collection as the name would suggest this is a pretty rose gold shade that for me goes perfectly with a pastel pink shade like,Dragon Fruit. 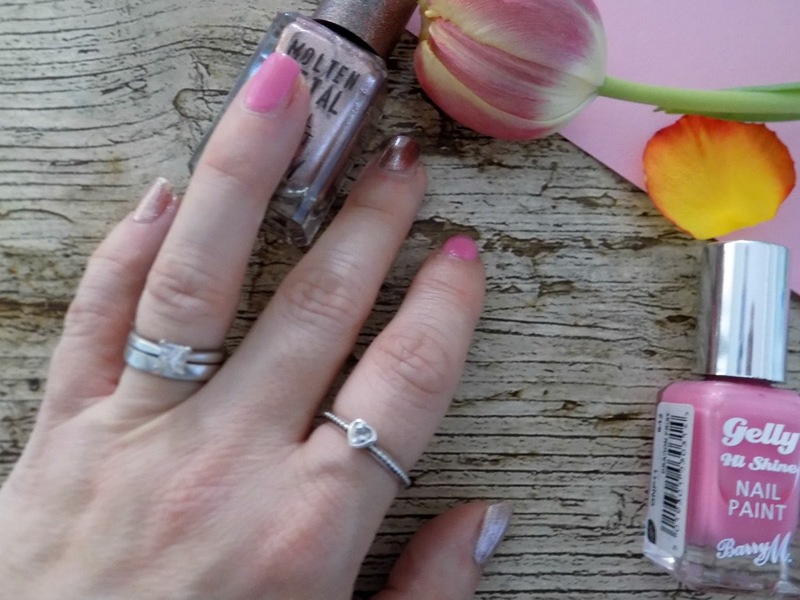 What I love about the Molten metal polishes is the staying power these can be worn for several days without chipping, they go on smoothly, take just 2 thin coats and dry super quick ( I hate waiting for my nails to dry). I would 100% recommend giving the Molten Metal range a whirl there are several colours to choose from and I know I will inevitably buy more. What super pretty shades, so need them in my collection!